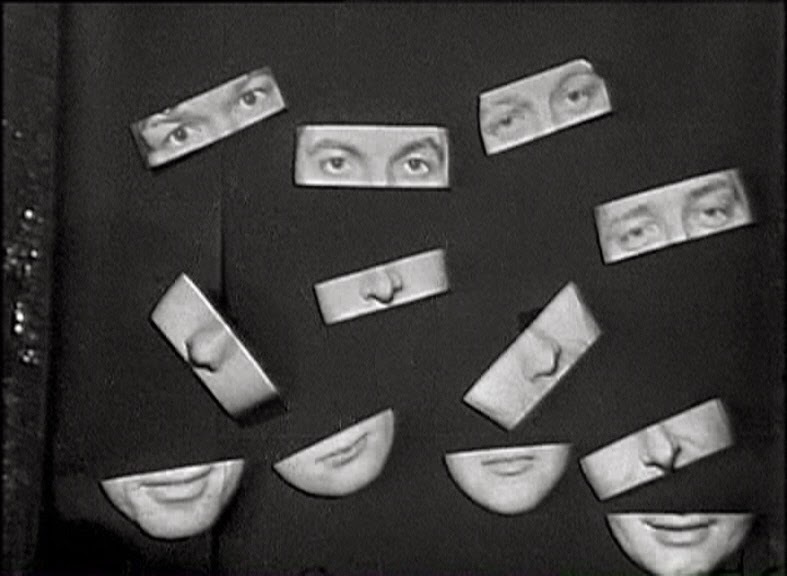 Doctor Who: Revisiting THE MIND ROBBER | Warped Factor - Words in the Key of Geek. Consider for a second the inherent surrealism of Doctor Who- a chap who can change his appearance and personality quick as a flash as a handy means by which to cheat death whilst travelling space & time in a 1960s police telephone box. Absurd, is it not? Take a look at The Mind Robber though, & you'll soon postpone pondering the implications of that & turn your attention elsewhere. The Doctor ( a fictional character here portrayed by an actor, Patrick Troughton) and his companions Jamie & Zoe ( also fictional, played by actors, Frazer Hines & Wendy Padbury) arriving in a Land of Fiction outside the normal universe populated by characters from works of fiction. Yet they, who are after all also fictional constructs, are the most real of those who find themselves there. ZOE: Oh, nothing. It's all exactly the same. ZOE: You're worried by something, Doctor. What is it? DOCTOR: Me? Worried? No. No. It's only the unknown that worries me, Zoe. ZOE: But if there's nothing outside the TARDIS and we're nowhere, then what is there to worry about? ZOE: Because it's dangerous to stay where we are for any longer, yes. But we must be safe at the moment, otherwise the unit wouldn't let us stay here, would it? Feel free to scratch your head while pondering that. They've landed in a White Void, populated by White Robots. Providing a handy explanation as to why it hasn't seemed as if the faithful police box the Doctor dubs his home has taken flight at all. DOCTOR: Well, because, well, we're nowhere. It's as simple as that. But this nowhere will eventually become somewhere- in Jamie's eyes a reminder of his Scottish homeland, while Zoe sees the Wheel. Testament to the excellent quality of herbal cigarette available to BBC staffers in the Sixties? '' Zoe, do you see that? Do you see where we are? It's my home! It's Scotland!''. Except it isn't, really. Nor is it the Wheel. ''It's the city. My home. Jamie, you did see something, but it wasn't Scotland.''. 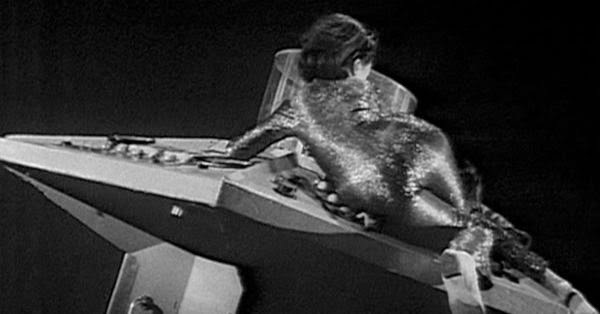 Ever one for logic, Ms Heriot takes the fact they've both seen something as proof that the TARDIS has in fact landed. An unseen force is manipulating them, calling them to leave the comparative safety of the Type 40. But what? ''Don't you see? Those pictures that you and Zoe saw on the scanner were put there. Obviously put there to tempt you to go outside.''. One man's imagination is what's causing all this, a human writer known as the Master of the Land of Fiction enslaved to a nasty computer calling itself the Master Brain. The Land & everything/everyone within it is given life by the Master of the Land, the Brain helping shape it all into a sort of reality. The Master just wants to get back to Earth and his writing career, and so begins a race to lure the Doctor to him to take his place. 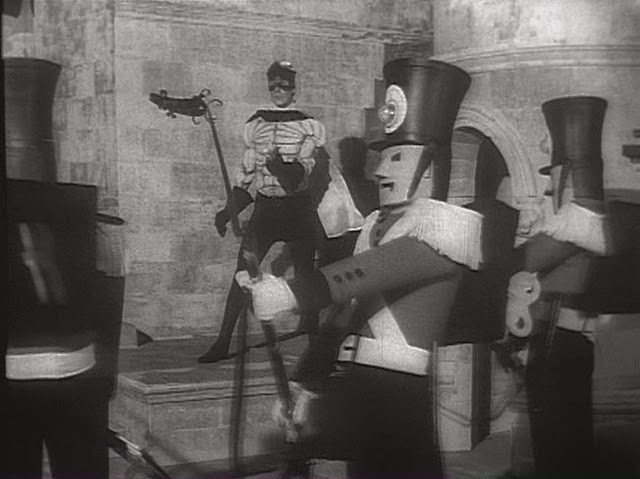 Along the way we'll see some clockwork soldiers- actually refashioned White Robots- Princess Rapunzel, & Lemuel Gulliver of Gulliver's Travels. Before all that there's some exploring of the blurred line between fiction & reality to be done! Not to mention what looks like the explosion of the TARDIS itself, Zoe left gyrating around the exposed central console in what seems to be an early Pan's People audition by Wendy Padbury. She's well prepared at least- just look at that catsuit. Bet that kept the dads watching! How best to cover up a bout of illness for Frazer Hines, too? Simply allow his cousin – Hamish Wilson- to step in & explain the cover-up by having the Doctor fail a surreal game. Then when Hines is well enough to return, the Doctor will miraculously remember what the man who's travelled with him for the majority of this incarnation looks like! Seamless. 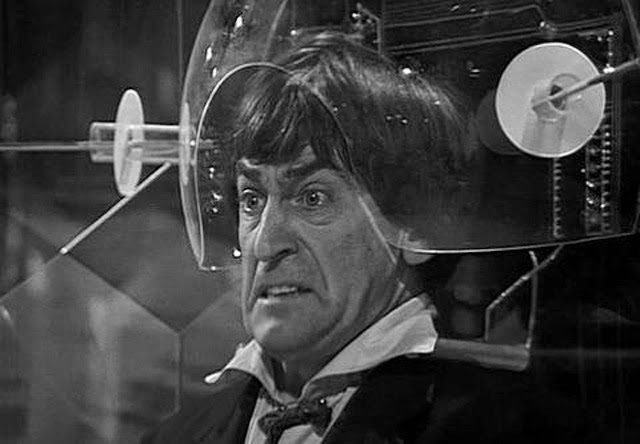 DOCTOR: Well, I have to make up his face again. ZOE: You did this before. ZOE: And that's how Jamie's face got changed. You got it all wrong. DOCTOR: What? No. No, no. Well I, I was rushed. Now then. There we are. He very nearly picks the wrong pair of peepers for the piper until Zoe puts him right. ''All right, I know. There we are. One. Now then. Oh yes, that's his nose. You can't mistake his nose, can you? And..there you are, you see.''. Only a matter of time before a meeting with the Master! DOCTOR: What is the purpose of all these tests? MASTER: Well, do you know, when I was first brought here myself, I was as bewildered as you are. JAMIE: Well, how long have you been here? MASTER: I left England in the summer of 1926. It was a very hot day, I remember. I think I must have dozed off over my desk, and when I awoke. Oh, but that' a long story. 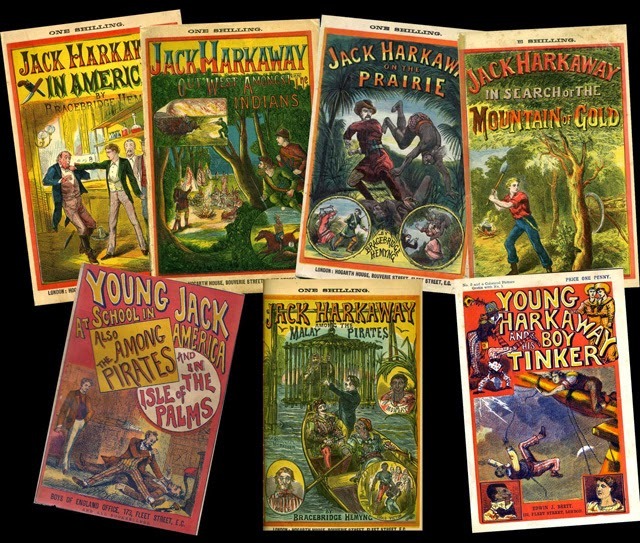 Did you ever hear of the Adventures of Captain Jack Harkaway? DOCTOR: No, I can't say that I. Wait a minute, a serial in a boys' magazine? MASTER: And for twenty five years, I delivered five thousand words every week. DOCTOR: You are a writer. ZOE: Twenty-five years, five thousand words a week. Well, that's well over half a million words. MASTER: Yes, yes. It was probably some kind of record. Anyway, that was why I was selected to work here. JAMIE: And you're the one that's in charge of all of this? MASTER: In one sense, yes. DOCTOR: Or is all this in charge of you? MASTER: My brain is the source of the creative power which keeps this operation going. DOCTOR: I see. That means that you are virtually a prisoner. It won't be long until the three travellers and the Master all escape, as the White Robots destroy the Master Brain computer. A mist then envelops them and the TARDIS reforms in space. The mind boggles at times, does it not?